This past Sunday, we practiced the prayer of examen together. 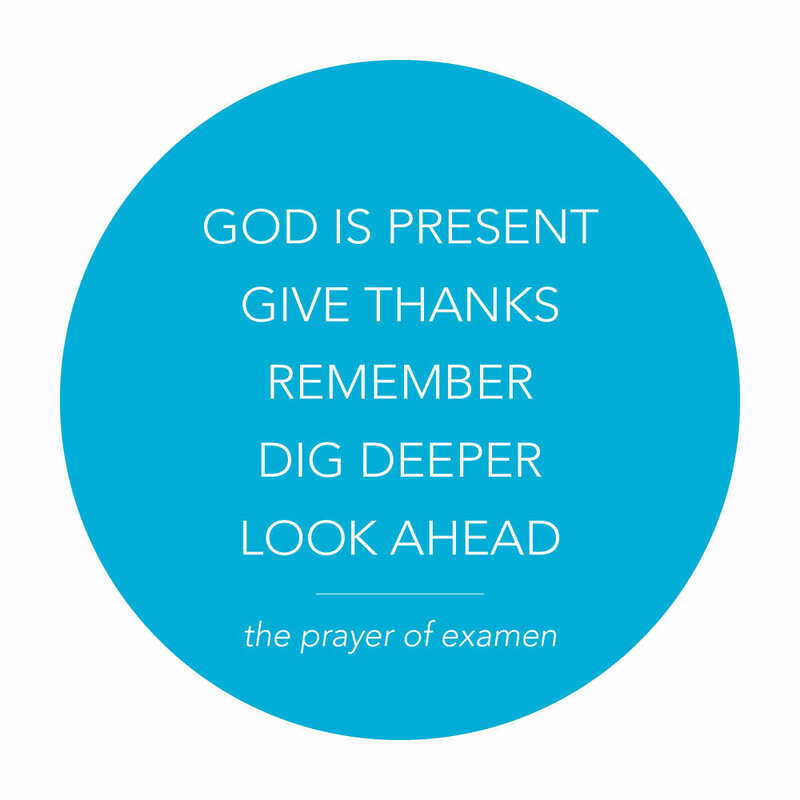 The examen is an ancient prayer that sparks awareness and reflection on how God is at work in your life today. There are five steps or movement in the prayer of examen. This week, take some time to enter into the examen as an invitation to dwell with God and live into the wisdom and insight of God's spirit.